Check out this article from HPAC for more information about our partnership with Saniflo. Very pleased to be working with them! Wetlands Work! is pleased to work with the World Toilet Organization and SFA Sanitrit to bring wastewater treatment systems to floating communities. Check out this article (en espanol) for more information. StartSomeGood Campaign – Thank You! Thank you to everyone who contributed to the success of this campaign. With your help, we were able to double our initial goal of $8,000 and reached our ultimate goal of $20,000, including non-StartSomeGood donations! 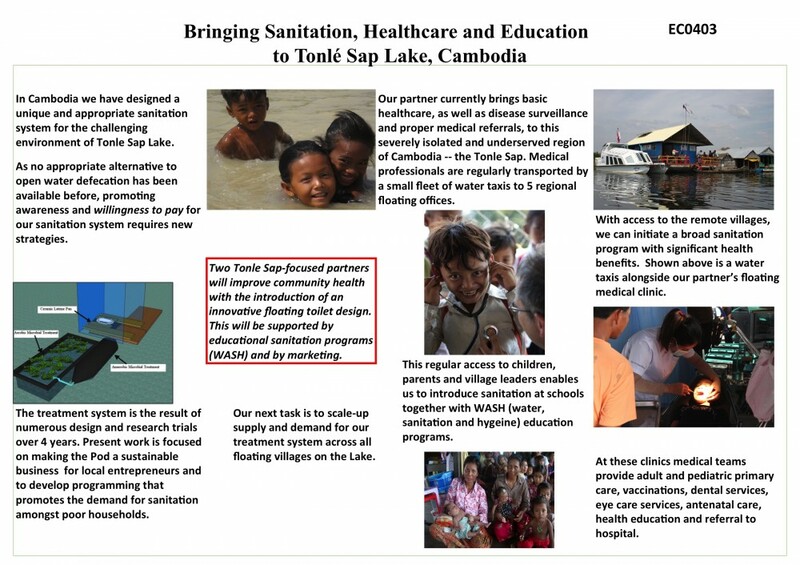 This means we will be able to build wastewater treatment systems and conduct WASH classes at four Cambodian and one Bangaladeshi floating schools. Keep an eye on our website and Facebook page for further updates to this project. If you would like to contribute further, our website now has a Paypal donation button, and you can always feel free to contact the WW! staff for other ways you can get involved. Thanks again!